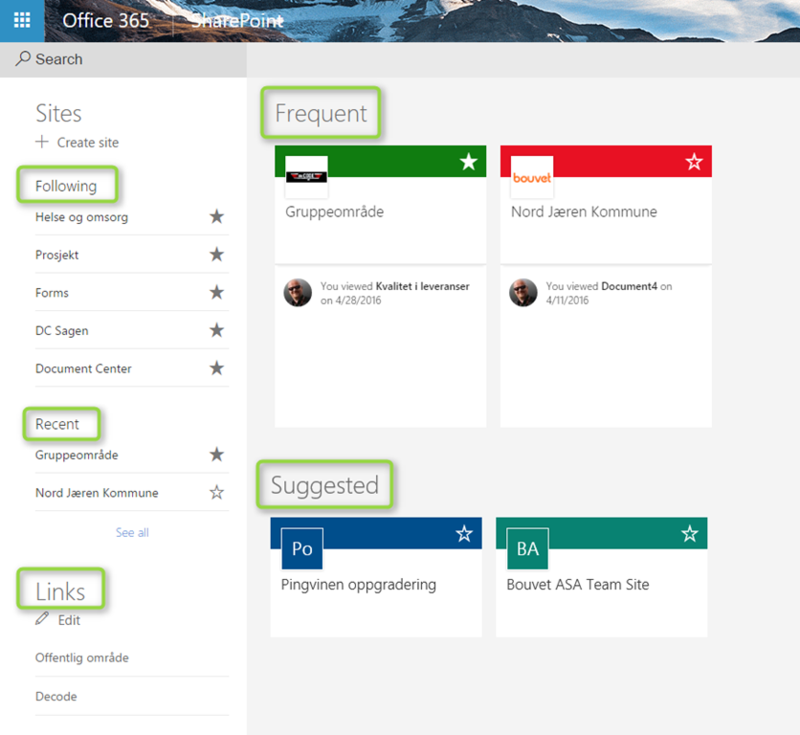 The New SharePoint site listing in Office 365 has arrived, at least for those with First Release turned on. 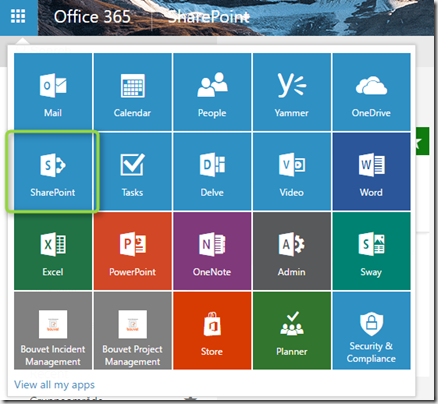 The new page has a new name in the waffle menu in Office 365. 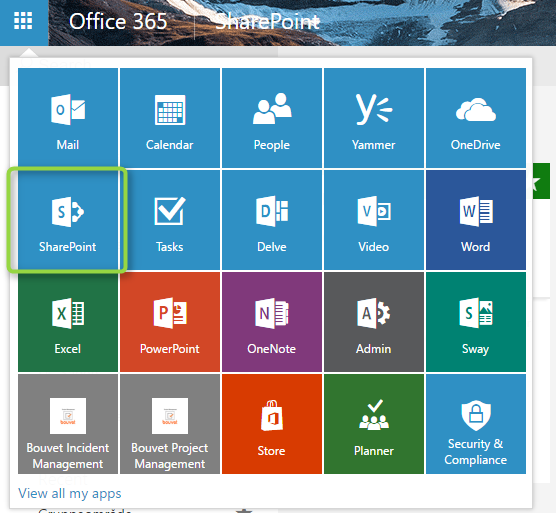 It used to be called Sites but now has the more correct name of SharePoint Good one Microsoft. The new page is actually useful compared to the old one which was not very good, especially if you had a lot of sites. The new page has several sections. This is a list of sites you visited recently. Click the star symbol to make the site a followed site. Click the See All link to see more sites you have recently visited. This is a list of link that your admin manages. Could be links to anything, both inside SharePoint or external stuff. These are sites you might not have visited but that people around are active on. Microsoft has also started rolling out the new Site Contents page on Office 365. The new page gives you some insights into the activity of the site. You will see number of visits for the last 7 days and Trending content – the most popular content on your site for the last 2 weeks. 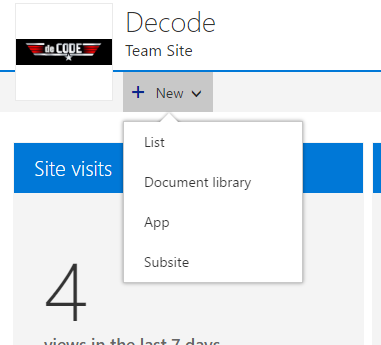 The new page will also give you quick access to creating new lists and libraries with a new dropdown menu at the top of the page. You will find a list with all the contents of the site by clicking Contents. All lists and libraries will be listed and show number of items, last modified date etc. Click Subsites to see all the subsites below this site. This view will also show number of visits to the subsite, click the ellipses (…) to go directly to the Site Contents page of that subsite.